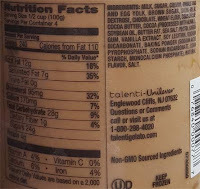 So it says Belgian chocolate and dulce de leche were slowly cooked in to the base gelato, so basically it's a chocolate base with a bit of.... something to it. I often use "complexity" to describe a situation like this but that's not specific enough right now. The DdL has added a certain sticking point to the flavor note. I think the problem is that it's not doing anything for me. It's like the flavor is askew in such an unfamiliar way, it's almost like it has a bit of soda flavor to it. If you hit a big puddle of sauce, it's definitely tasty and very buttery. When I get too much though, I long for it to be balanced with something. That's where the blondie pieces should come in, but they are very hard to describe as well. I keep trying to find more so I can sample them better. I got a flavor blast of something from a larger piece but again I lack the culinary knowledge to properly convey how they taste. It's like for a millisecond you go "oh yeah, it tastes like...." and in the next millisecond it's gone. 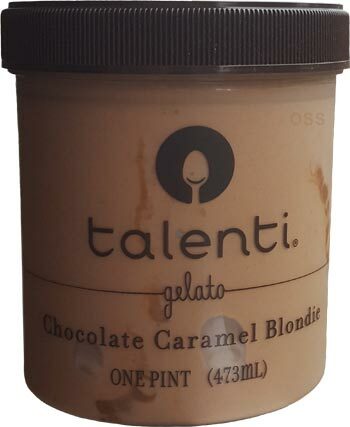 [time jump three hours] I wound up having a few more bites when we got back today and I think the problem is that I really don't like this gelato... I guess I just don't understand or appreciate the flavor profile here. Blondies can be a neat thing but I swear someone was trying to be super creative without actually factoring in how this would taste in mass production. Honestly, I would skip this one unless you are pretty confident you can still enjoy it. I just don't see this one having mass appeal. Here's hoping a couple of you have tried this and can chime in with some better commentary than I can muster at the moment. 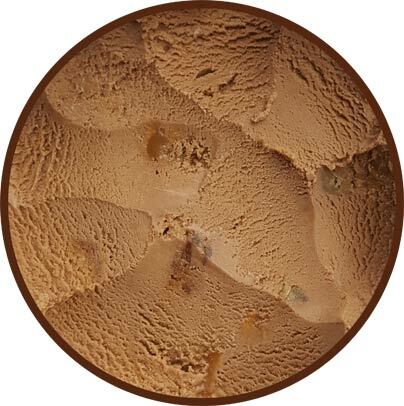 On Second Scoop: I started off with some bites that had lots of swirl and thought "ahhh, I was too hard on this one", but as soon as that swirl fades, I go back to thinking that I just don't like this one. Like other products I've tried, it's not that it's terrible or intolerable, but it triggers that reaction of "why am I bothering to eat this?". There's a reason that you don't see a lot of blondie mixed with chocolate flavors around. 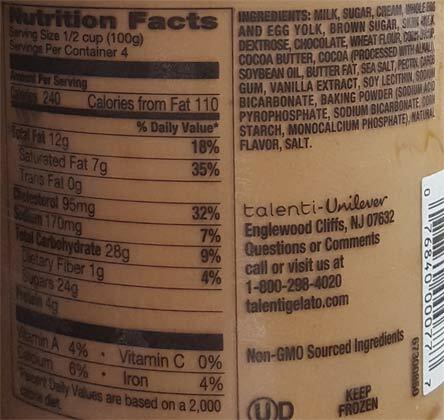 Talenti really needs to work on their formula - too much inconsistency with quality. Odd choice of flavors considering there mix-ins are usually not a dominant factor. 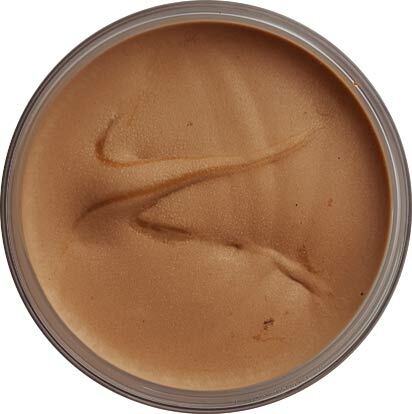 I thought the dulce de leche added some nice complexity to the chocolate base. I wish there had been more blondie pieces mixed in - but I did like the chewiness they added. I don't love this flavor, but I liked it. I would consider buying it again. I am dying to the the honey almond flavor, but haven't seen it anywhere. I did find the honey, salted caramel, roasted almond flavor from Haagen Dazs - it's incredible. I also found the midnight cookies and cream. I haven't had any luck find the other Haagen Dazs flavors and zero luck with Ben and Jerry's.